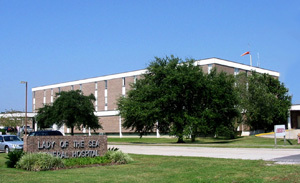 On August 1, 2012, the entire Lady of the Sea General Hospital campus and LOSGH Medical Clinics became tobacco-free. 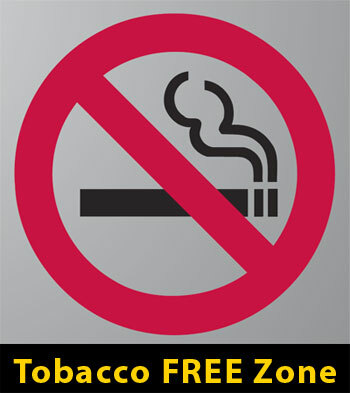 Thousands of hospitals across the nation have gone tobacco-free like ours, prohibiting tobacco use anywhere on campus and parking lots. A 100% tobacco-free environment is part of our commitment as a healthcare organization to improve the health of our community. Download your "I Can Quit" card here. This wallet card can help you quit and reinforce your new healthy lifestyle. The card has statements about the commitment to yourself, tips for dealing with cravings, and how to be successful. More info at QuitWithUsLa.org. Directions for printing: This PDF document is two pages long. Be sure to choose "2 sided printing" so that your card will be printed on the front and back. Cut, then fold along the crease. 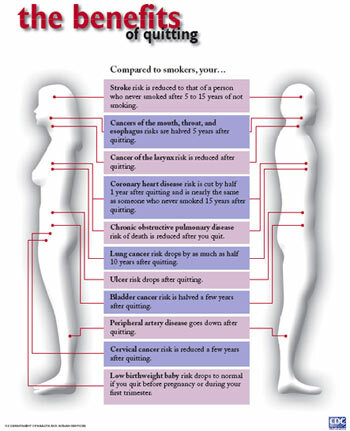 View the Benefits of Quitting poster here.